My Merci Maman bracelet (a.k.a. my favourite Christmas present)! 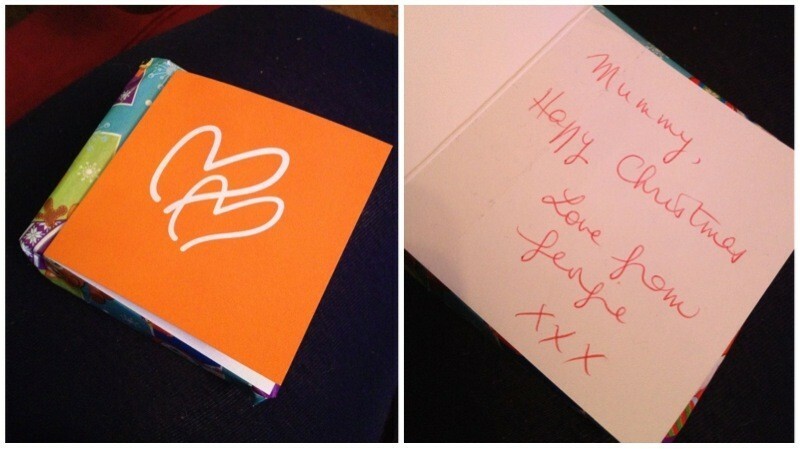 This Christmas, it wasn’t hard to choose what my favourite present was! 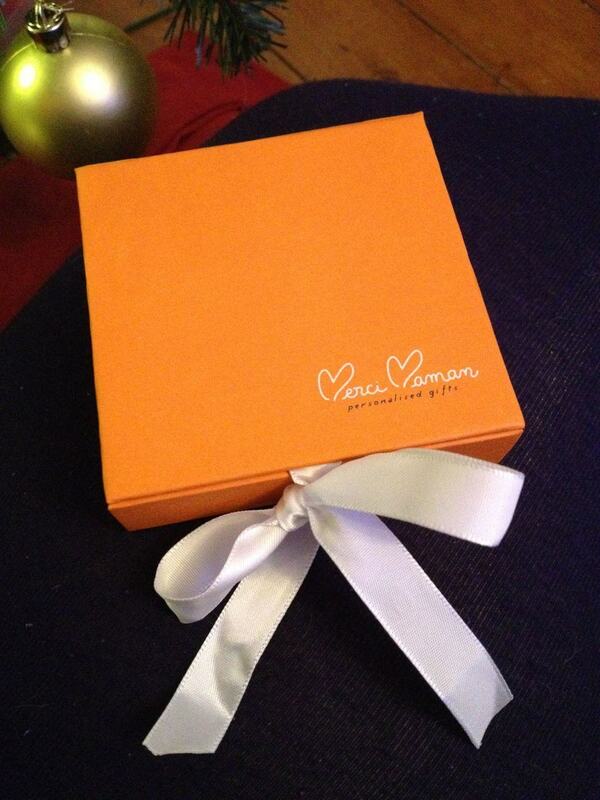 As soon as I saw this parcel arrive in the post (Merci Maman should really offer a discreet packaging option!) I knew I was in for a very big treat, and I wasn’t disappointed! With the idea of saving the best for last in mind, I left this little parcel under the tree until almost all of the other (lovely!) presents the three of us were given had been opened. Even the box is gorgeous! I was definitely savouring the anticipation at this point… although I think the bow was probably a bit better tied before James Georgie had a peek, prior to wrapping it up! Isn’t it just gorgeous!? James used the Mix & Match charm bracelet option, with a dark violet waxed cotton braid and sterling silver charms. 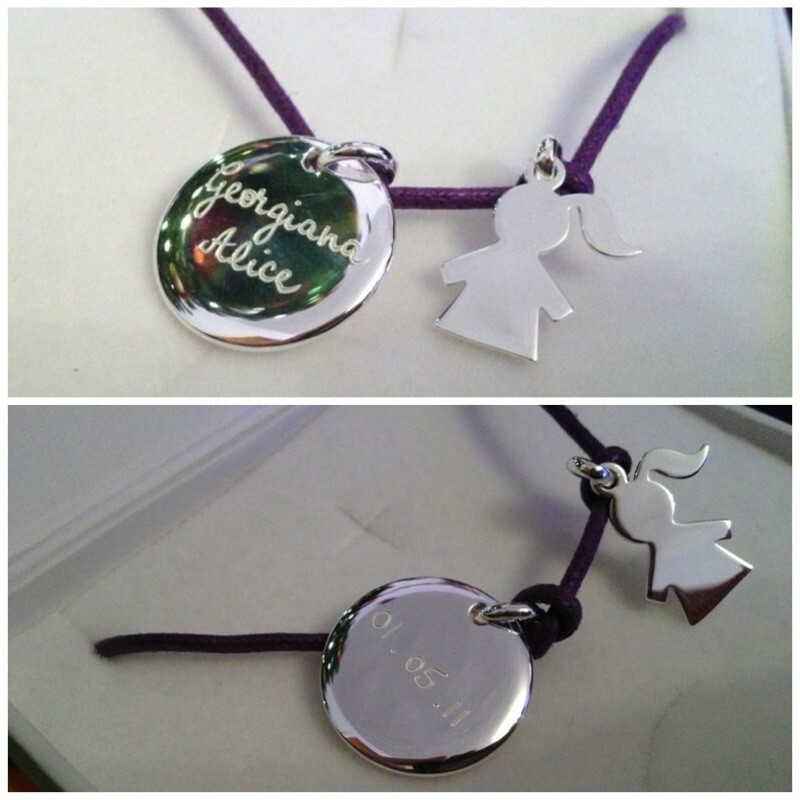 The disc is beautifully hand engraved with “Georgiana Alice” on the front & her birthdate on the back (01.05.11). To say I love it would be an understatement. I have barely taken it off since putting it on Christmas morning! 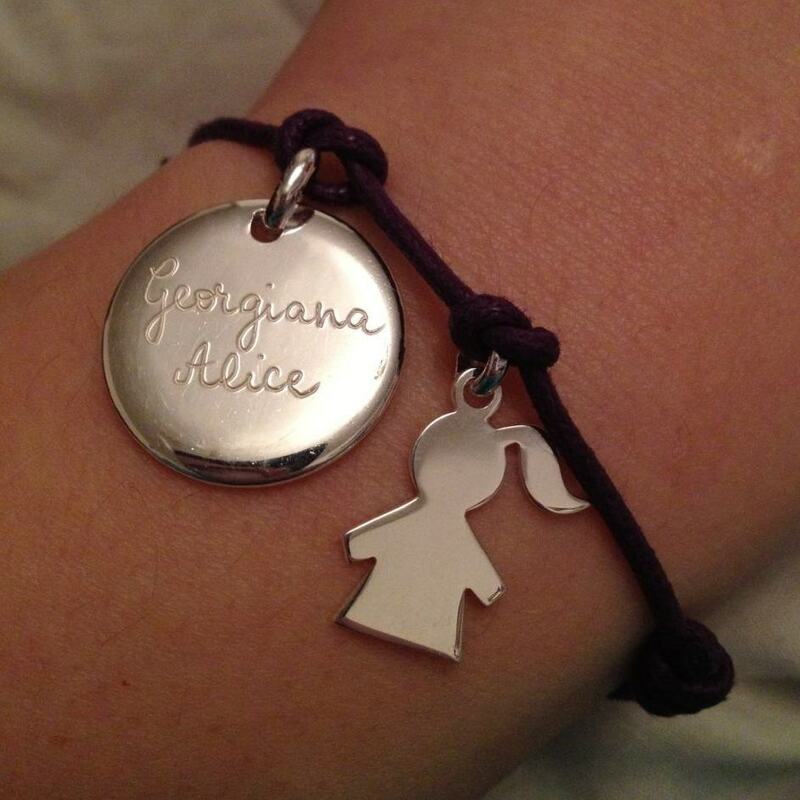 When our new addition joins us in February, the bracelet will be sent back to the lovely folk at Merci Maman to have the appropriate charms added to represent Squidge. They have an Add a Charm service to make it easy for you to update your jewellery, as well as a Restring service if the cord is looking a bit worse for wear – or you just want a colour change!